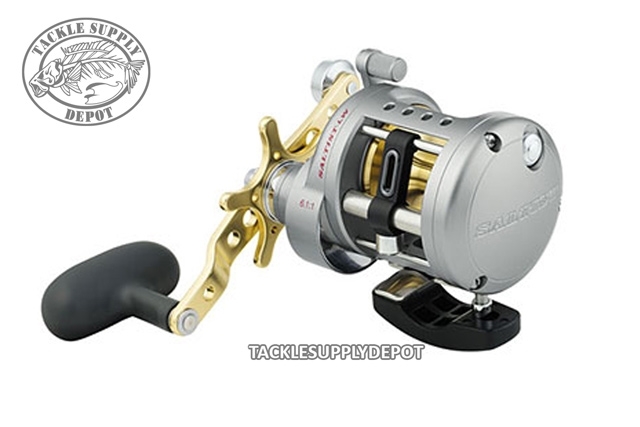 Experience the proven Saltist reel performance with the added convenience and efficiency of a levelwind; the Daiwa Saltist Levelwind has it all. With the Saltist Levelwind enjoy fish-dominating cranking power, a super-smooth multi-disc drag that can produce up to 22 lbs. of drag and the pleasantly smooth operation afforded by 4 corrosion-resistant CRBB bearings. The foundation of the Saltist Levelwind reel's all-metal construction is a rigid one-piece aluminum frame. High-strength alloy gears deliver up to 30% greater winding power than lesser reels. These reels are ideal for a wide variety of freshwater and saltwater applications. Featuring dual anti-reverse systems and dual-position power handle.